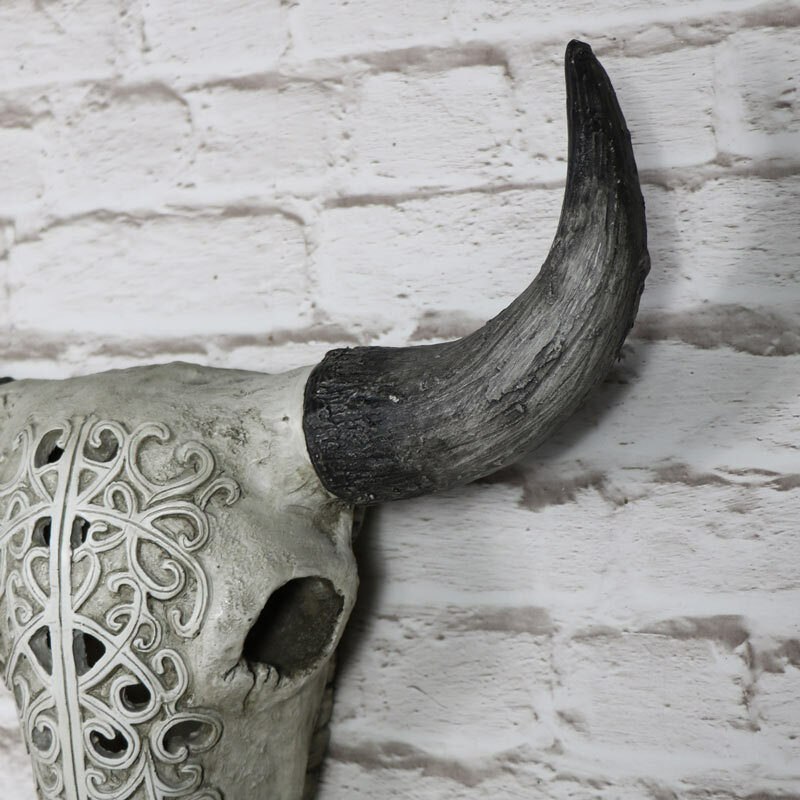 Our animal heads make the perfect statement for your home and this buffalo skull is no exception. 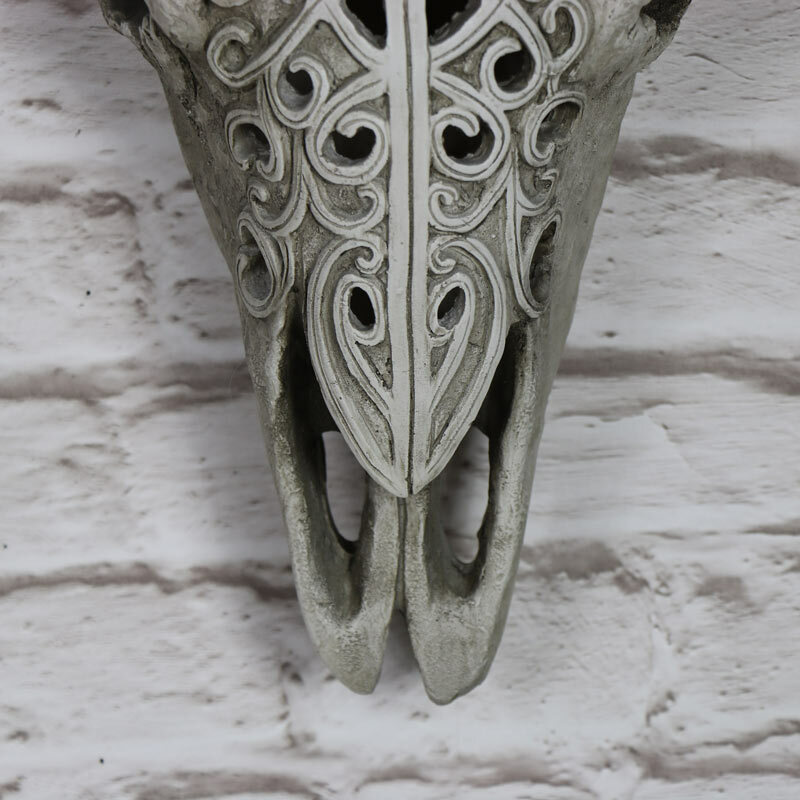 Made from resin with ornate carved detailing, this is sure to add the wow factor to any wall. This skull looks very impressive and will look perfect hung in any room. A great way to make a statement. 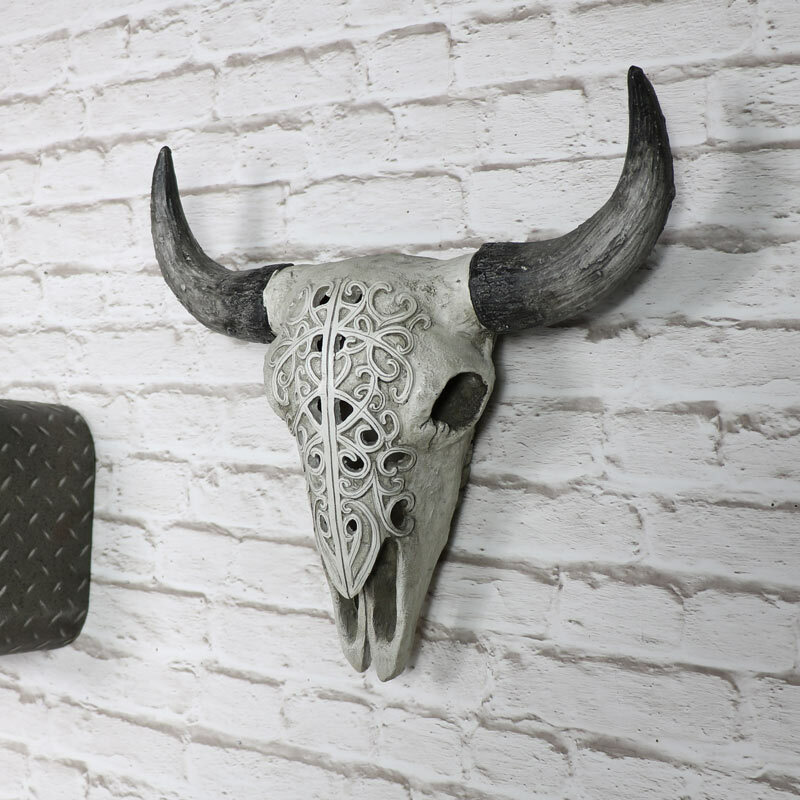 This is a great addition to our range of animal heads that are a much more friendly way to add that wild west or country lodge look to your home. With plenty more wall mounted animal heads for you to choose from. Crafted from resin in an aged white and grey colour, this is made to look incredibly realistic. Easily wall mounted with hole on the back for attaching to a wall hook (fixings not included). We also have more animal heads in different shapes, sizes, colours and styles, so much that you'll be spoilt for choice.